In modern time, when hairstyles become a part of the fashion trend. Women have a wide choice for their new haircut besides common treatment like curling, straightening or colouring. Bon hairstyles are trendy at the same time. However, people hesitate to get an instant haircut because it’s no turning back. Responding to human demand, they publish lace frontal bob hairstyles or bob wig. By wearing them, you can have a new look in a blink. Dark skin is the tone that fit with few colour and styles. To make the skin glow, we should keep the hair in shape. The key is how to share enough space for the face and hair. Let’s check out some of the trendy hairstyles. Fist about the colour, red hair can support dark skin tone. This colour can tone up the skin and also make it glow. Besides, this colour is outstanding. Chin-length is the perfect cut for dark skin because there’s not too much hair left which can darken your skin more. Also, this short bob looks stylish and young. If it’s not a lace frontal bob hairstyle, many people do not dare to get such short haircut. Fringes are the remark for this short bob. It stands for rock and chic, the style of youngsters. 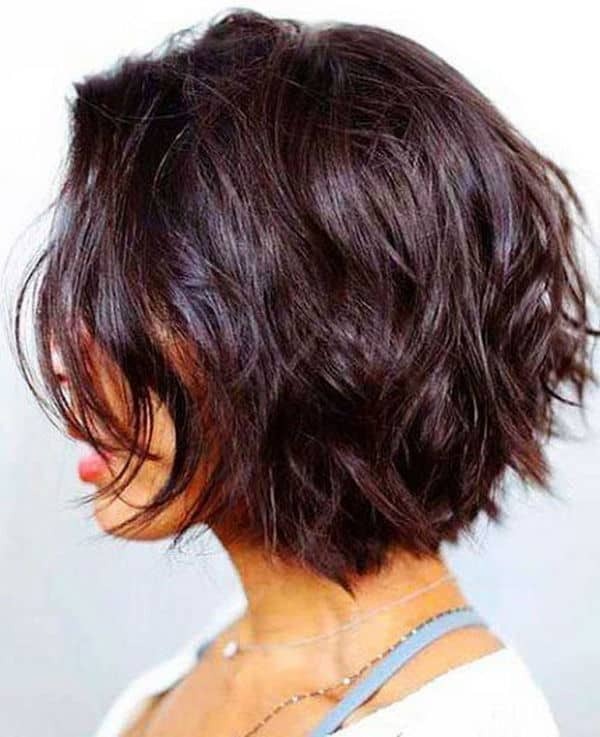 It’s a basic short bob that many people love to have. However, swept back bang lets skin shine. There was more space for the face when all front hair combed behind. This hair expresses an active and robust personality. You can barely see the hair waving behind your ear. The rest is glorious face with a healthy dark tone. It’s almost the same with the high bob style. However, it’s the renovated version. The hair shows up with gorgeous curls on top. The curved part makes the hair outstanding and more grooming. This hair is trendy. In return, you have to invest a certain amount of time in styling. Without lace frontal bob, could you invest in it every day? This bob is super sharp. Curls are small and twisty up so that people can show off their face completely. This hairstyle is usually seen on black women who have a broad forehead and shiny skin. This bob is entirely different of other feminism bobs at the moment. It’s solid, unique and defined. Bony faces are also the shape which limits people from the full range of haircut. However, they’re not out of style. Suitable lace frontal bob hairstyle must be able to soften the angles. We prefer long bob and curly hairstyles. Medium length can help with covering up sharp angles on the face. With wavy at the end, the hair makes bony faces look much more feminism. This hair keeps the average length. Therefore, it fits women who like the girly look in bob hairstyles. The hair is divided into two flat parts and long bangs two sides. The hair falls along the cheeks and hides sharp line on the face. Curls add volume and make the hair look rounder. This hair turns up average but stunningly suitable for all occasions. You can wear it to anywhere with little makeup. This hairstyle appears with low and high layers. Usually, many lace frontal bob hairstyle follows this model. 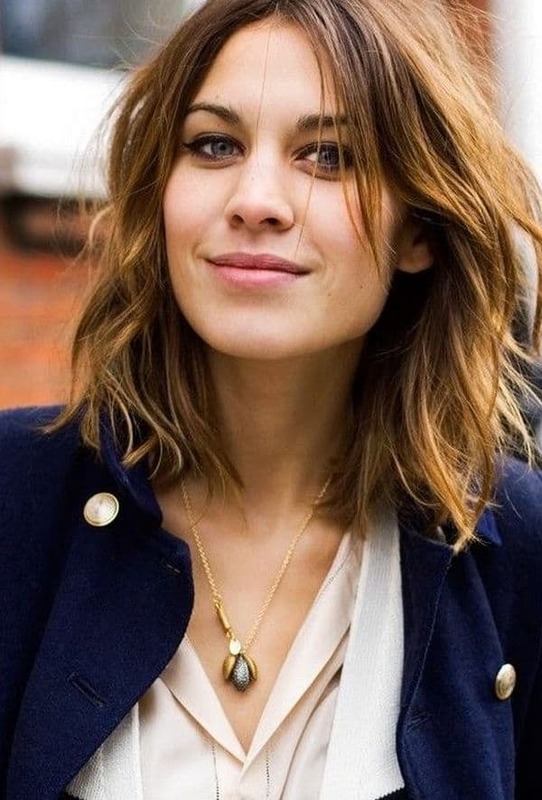 Layered bob doesn’t fit bony face but also another shape such as oval or long faces. Layers make hair look thicker and more natural. How To Find Out The Most Amazing Lace Frontal Bob Wig For Daily Wear? Lace Closure and Lace Frontal: Are They Different? Recent years, favourite lace frontal bob hairstyle usually come in classic models. There are many bob hairstyles to choose, but some are picked for parties only. First, to know, it’s one of the bob wigs for women. It recalls to the past by big curls. It’s old-fashioned but still unique. It brings on the gentle, ladylike look. Everyone at the party could not take eyes of your hair. Smooth hair always stands for a formally professional appearance. It could be a perfect look to arrive at the office every morning. However, with slight curls at the end, the hairstyle has changed into a luxurious spirit. It’s easy to look but creating volume curls take a significant amount of time. That’s why we suggest using lace frontal bob hairstyle alternative. Slicked-back hairstyle shows of strong personalities. Therefore, besides the hair, you have to invest concern on the outfit. This bob usually appears as short as chin-length. Hence, people can represent their chin up, angles and cheek. One of the disadvantages for using this lace frontal bob hairstyle is the lace joint. Wearers will have the forehead exposed so covering up the edge take a certain amount of time. In return, it helps you to show up distinctively from other guests. Many people chase for stunning colours and girly blonde. However, one of a classic look is exposed from smooth black hair. This retro bob contains big curls along the face. It’s from top to chin. All curls must be in good shape. This look is not to mess up but stay the same from start to the end. To create these waves, it takes time, too. Besides, you must limit your activity to avoid messing up the curls. Among many choices for lace frontal bob hairstyle, we come to introduce the most popular bob wigs for women at the time. Hair fashion would never stop changing day by day. It’s not a good idea to chase all over the new models. However, you can refresh the look with suitable bob hairstyles.